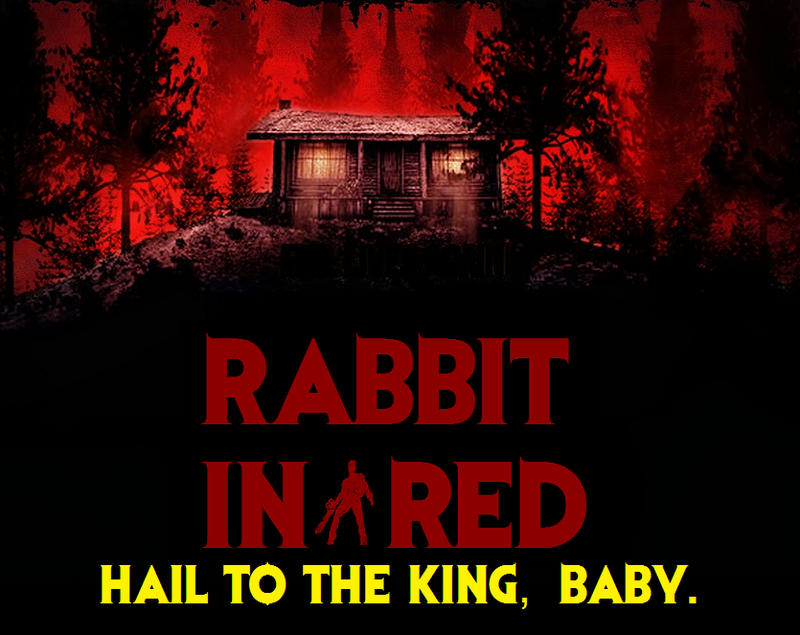 Rabbit In Red Radio: Rich Stile and John Rhoades return to the the show with a brand new episode after a six month hiatus. We cover the Halloween and the Friday the 13th sequels in limbo, Ash vs Evil Dead and the Goosebumps movie. What happens when John goes to a haunted house with roller coasters and he has an extreme fear of heights? And what happen when you introduce Silent Night, Deadly Night as the Christmas family movie? Silent Night, Deadly Night: After his parents are murdered, a young tormented teenager goes on a murderous rampage dressed as Santa, due to his stay at an orphanage where he was abused by the Mother Superior. 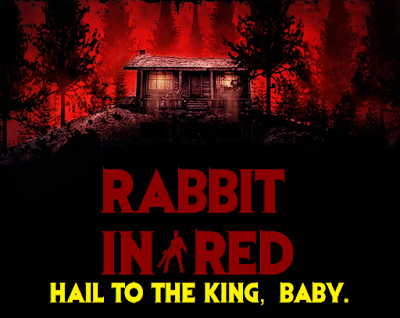 Lost After Dark: In this clever homage to 80's slasher films, a group of teenagers looking to party get stranded when their ride breaks down, and end up being stalked by a cannibalistic killer. Ash vs Evil Dead: Ash is baaaack! Bruce Campbell reprises his "Evil Dead" film role as heroic, chainsaw-handed monster fighter Ash Williams, now an aging lothario who has successfully avoided responsibility, maturity and heinous villains for the past 30 years. Constantly peering over his shoulder, Ash somehow knew that the Evil Dead would return for him. That day arrives when Ash commits an act of carelessness, unleashing a Deadite plague that threatens to destroy mankind. Co-starring in the half-hour series are Lucy Lawless as mysterious Ruby; Ray Santiago as Ash's loyal sidekick, Pablo Simon Bolivar; Dana DeLorenzo as moody wild child Kelly Maxwell; and Jill Marie Jones as disgraced Michigan State Trooper Amanda Fisher. Goosebumps: Upset about moving from the big city to a small town, young Zach Cooper (Dylan Minnette) finds a silver lining when he meets his beautiful neighbor Hannah (Odeya Rush). The teen is surprised to learn that Hannah's mysterious father is R.L. Stine (Jack Black), the famous author of the best-selling "Goosebumps" series. When Zach accidentally unleashes the monsters from the fantastic tales, it's up to Stine, his daughter and Cooper to return the beasts back to the books where they belong.